This fantastic design comes to life so well that it could become the central point of your home's decor during the holiday season. The GO! Qube Mix & Match 6" Block and GO! 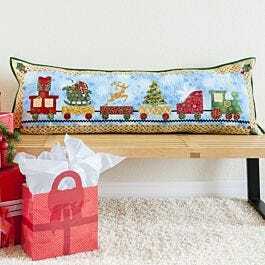 Holiday Medley are working together beautifully in this quilt to give you stunning, eye-catching blocks. You can make a throw quilt or a wall hanging with this pattern and neither option will ever go out of style. The finished size is about 40" x 52".